are in fact sharing pleasant thoughts. Thanks for your interest in MyBoracayGuide. Please be advised that rate quotation varies from one hotel to another and also dependent on the location. We suggest for you to visit our website https://www.myboracayguide.com/ and browse hotels which are also arranged by station or areas for easier navigation. You should be able to find the breakdown of charges before booking confirmation. 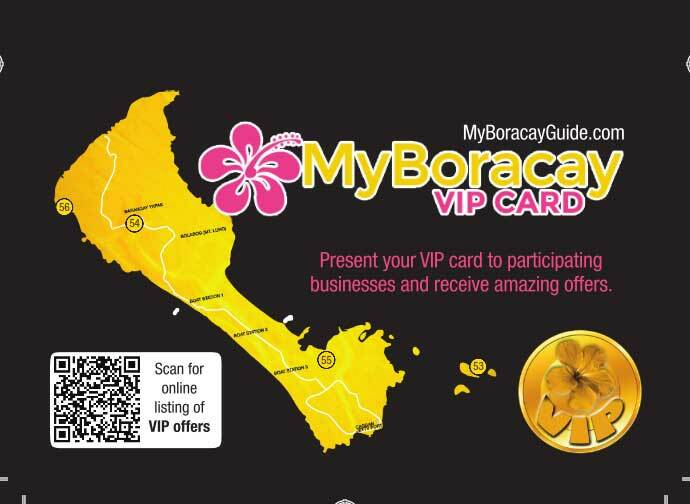 Please feel free to email us at info@myboracayguide.com should you need further assistance. 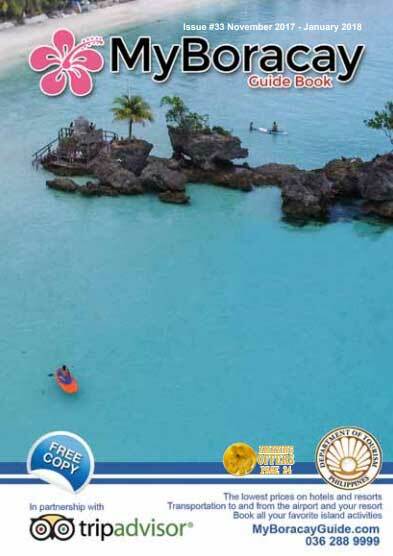 Can you provide Boracay Guide? Please send 2 copies each to me (hidden) Hong Kong. P.S. : Please write to me and stamp the letter. Thank you. We are happy to note your interest in our welcome kit. This is given for free to guests who booked a hotel through MyBoracayGuide, and will be provided at the hotel’s reception upon arrival. We hope you understand. Please confirm do you still have the MBG Welcome Gift when I make room booking. Yes, we are still offering the MBG Welcome Kit for all confirmed bookings through MyBoracayGuide. This is provided for our guests at the hotel upon arrival. We hope to receive your booking soon. 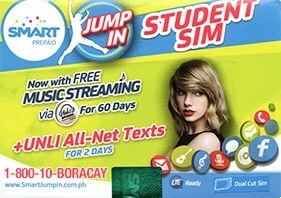 How can i get this Free MBG Welcome Kit.. Iam arriving at CocoLoco Boracay Beach Resort by 4.30pm on 29th May. Our room is booked under name Ricky Sang. Apologies for the delayed reply. 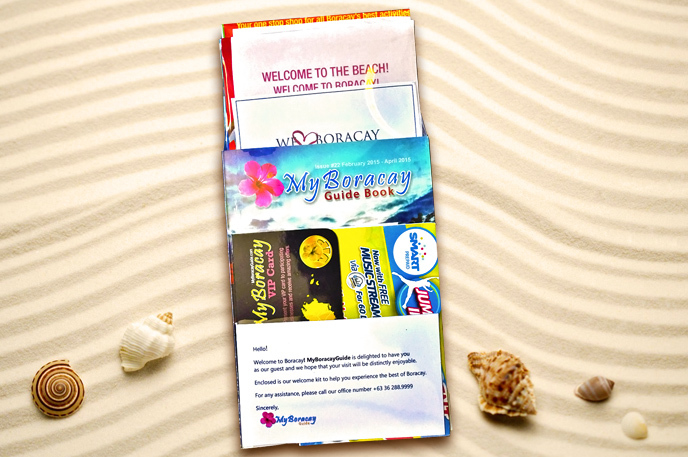 The MBG Welcome Kit is given for free to all guests who book a hotel through MyBoracayGuide. This is provided at the hotel upon arrival. We hope this information helps and we hope to assist you with your future trip to Boracay. This entry was posted on Thursday, April 30th, 2015	at 12:47 pm	and is filed under Recent, Specials	. You can follow any responses to this entry through the RSS 2.0	feed. You can skip to the end and leave a response. Pinging is currently not allowed.